I seldom make food delivery order and mostly I will taking my meals at the place. When we ask for food delivery, first to pop up from our mind is fast food likes McDonald's or Domino. Somehow this unhealthy food and not really in my choice to order. I'm very happy when I noticed there is something difference from the food delivery. It's not fast food anymore, but healthy food. 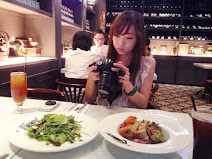 Honestly, we cannot avoid to eat outside food but why not healthy food? 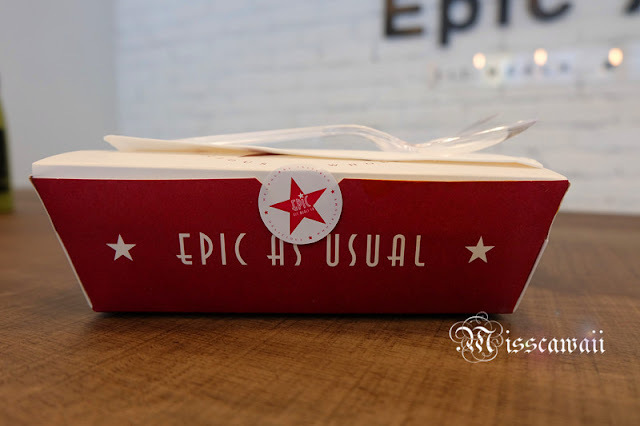 Epic Fit Meals is a Melbourne-Inspired Quick Service Restaurant offering and the First and Only in the town to provide On-Demand Fit Meals delivery. They are offer free delivery services with only order minimum RM20 and promise to deliver within 45 minutes come rain or shine. 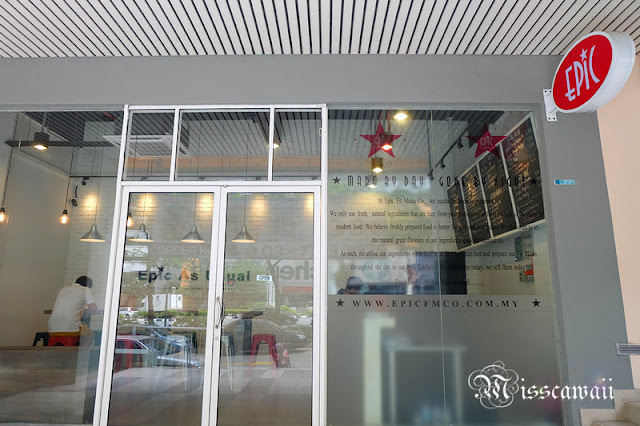 However, the delivery is applicable certain place include Damansara Perdana, Mutiara Damansara, Kota Damansara,Tropicana, TTDI and Bandar Utama. 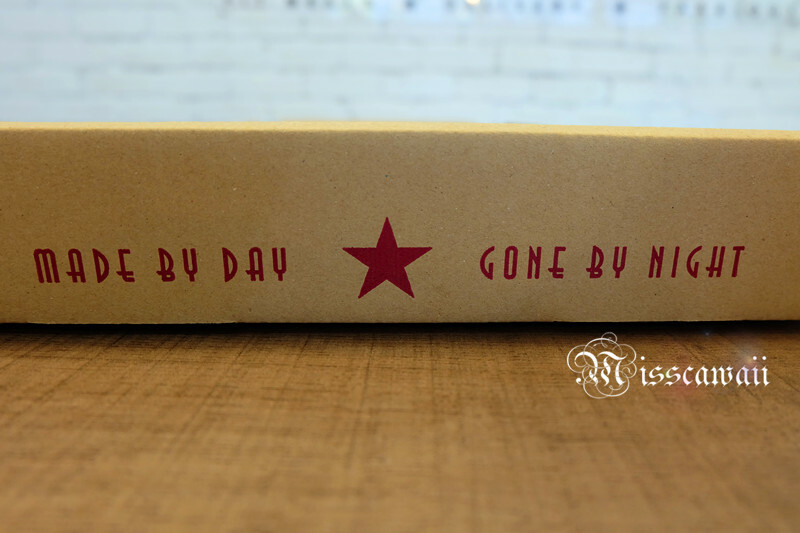 They also available to deliver for other area beside what is mention above, but with minimum order RM100 and above. 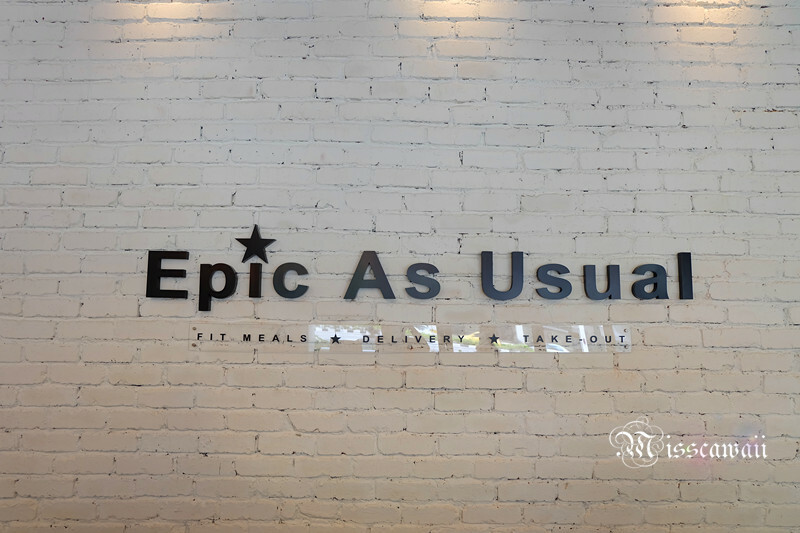 The philosophy of their restaurant: Made By Day and Gone by Night has promise what they are really to do and deliver the best food to their customer from their kitchen. They are provide greater tasting and wholesome meals with fresh and quality ingredients. The ingredients will speaks for themselves when you eat it. (I promise too). 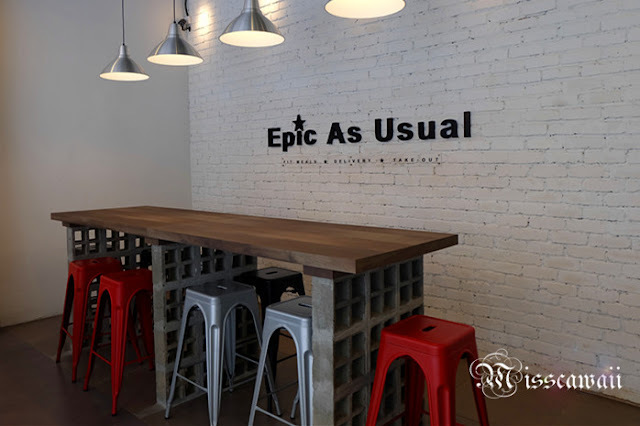 The restaurant is furnished simply with wood table and metal chair and not much of seat. Most of the customer is order for delivery. From left to right: Red Apple Honey Smoothie, Classic Trifecta, Coolie Beauty. The price for the juice from RM7.80 to RM8.80. The juices are freshly blended and pressed just in time. 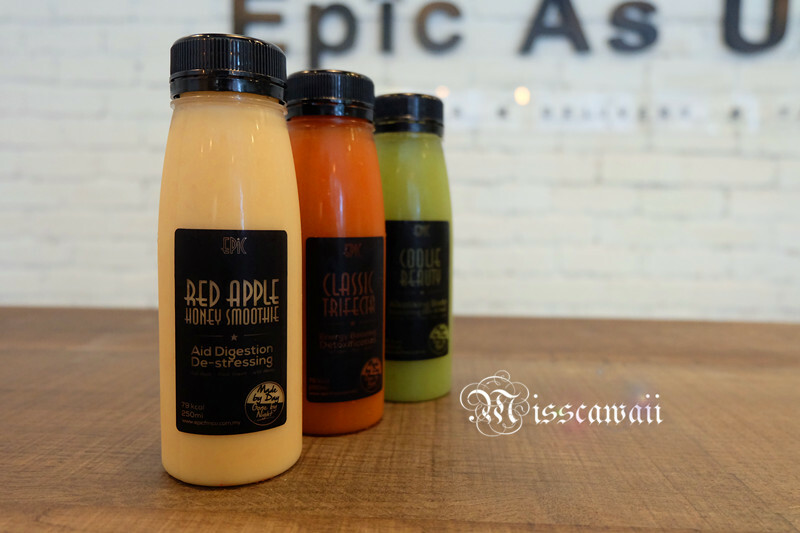 I can drink the texture beverages with original fruit and vegetables. This really make us easier to digest. Epic Chicken is one of the signature meal in their restaurant. I take a choice of grilled chicken with one side dish and one epic sides. Grilled Chicken come with selection of OZ's Barbe-Q sauce. Although the chicken I choose is grilled, however it is not dry and not oily. 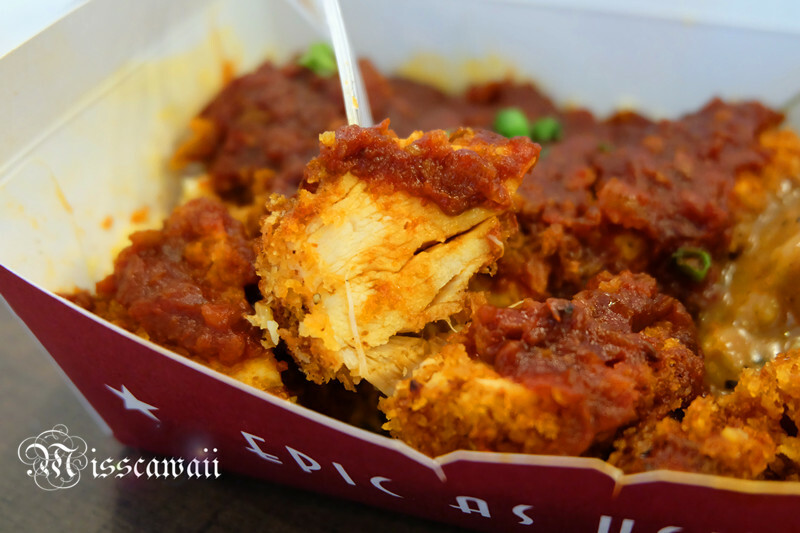 In Epic, there is no deep fryer even they are sell fry chicken, all from oven-baked. 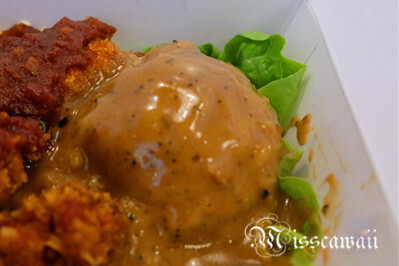 The sauces are made from scratches without any preservative, additives, MSG and even manufactured ingredients. For awesome flavor, they are using secret blend of herbs and spices. 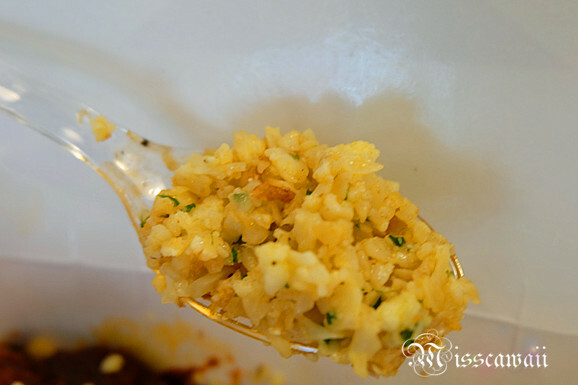 Irish Colcannon is the mashed potatoes consisting of cabbage and leek and the taste so good. I can taste the mashed potatoes made from the real potatoes and not like the fast-food has added a lot of MSG. Epic's Cauli-Rice actually is the fresh cauliflower and mashed into grain sized make like rice. 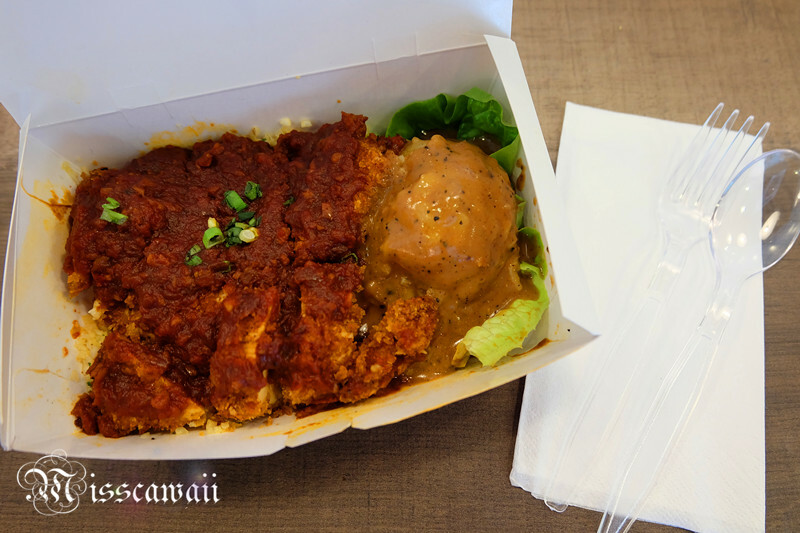 The rice hidden under the chicken and I like how they are going to match the herbs and spices and it really crunchiness like rice. If you are rice lover but want to keep diet, why not think about this choice? 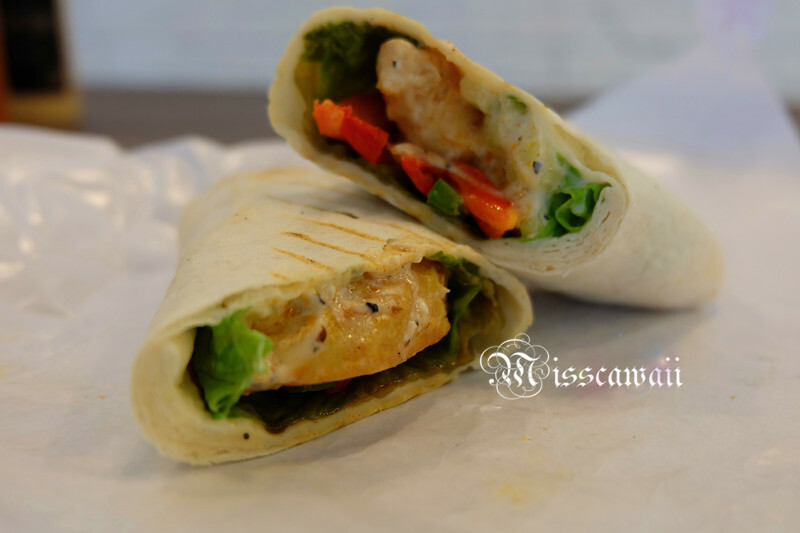 The wrap come with grill chicken fillet, vegetables and their home made sauce. They do offer vegetarian too. This is a new creation meals from their restaurant in conjuntion to celebrate the coming Hari Raya. 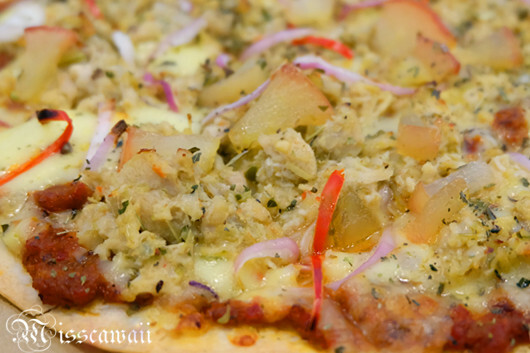 The pizza is come with thin crust and topped with minced chicken, real mozzarella cheese, onions and caramelised apple. 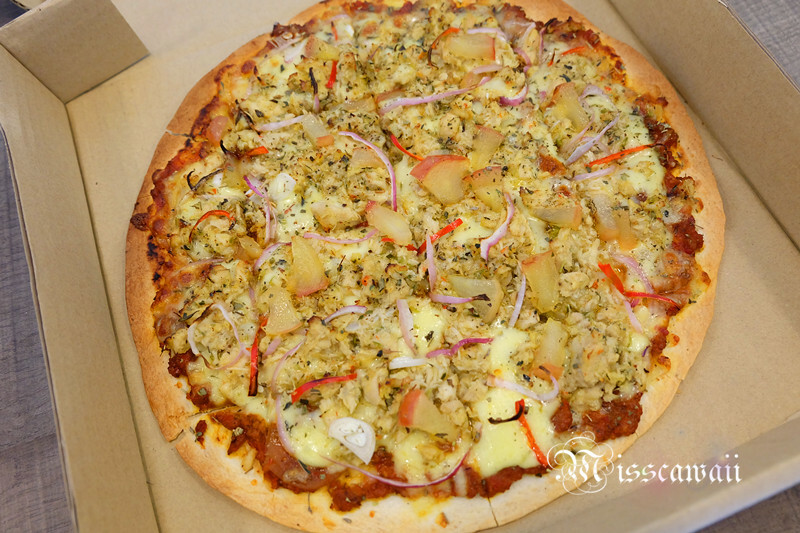 I have to said, the apple is so fresh in this pizza and I love it! I can taste the freshness of the food with the premium quality of the ingredients. 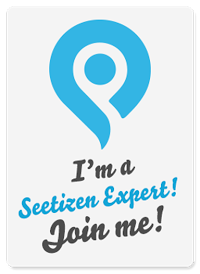 They are put their effort in deliver the best of food to the customer with their philosophy. Will come back again for their fry-chicken .